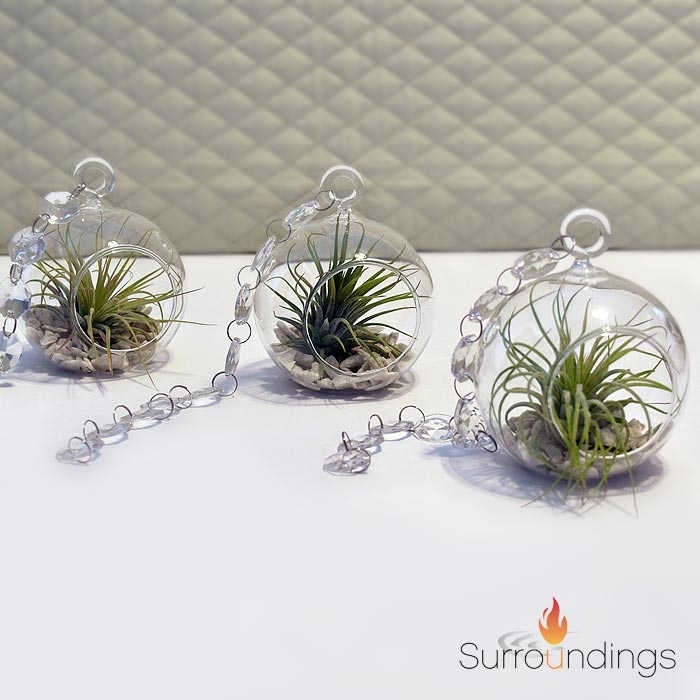 Decorate with air plants in hanging bubble vases for a light airy display. 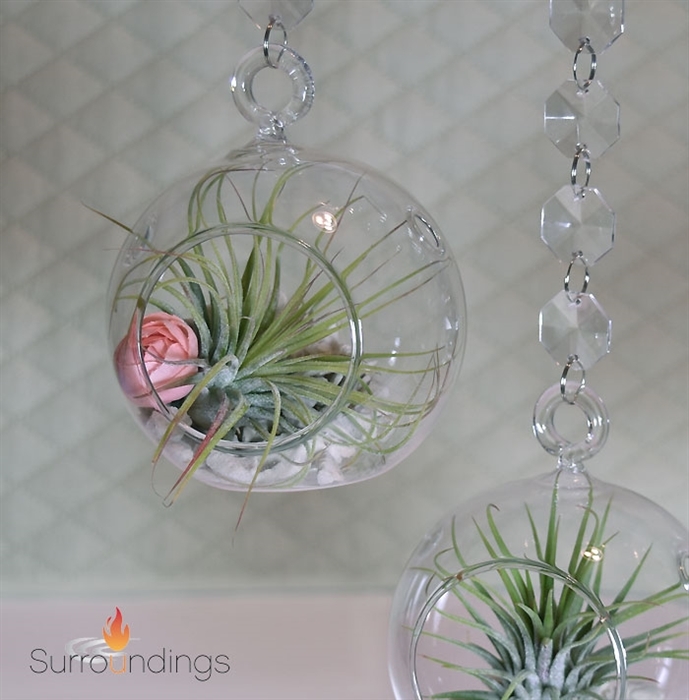 Add a little bloom of color to match your theme. 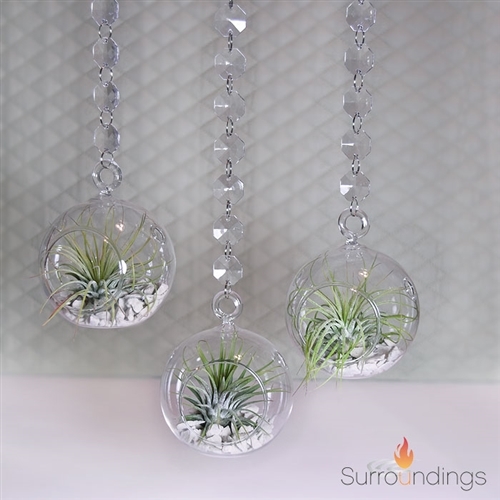 This item includes one bubble vase with live air plant, hydro stones and 9" acrylic garland.